Chronic Obstructive Pulmonary Disease (COPD) is the fourth leading cause of death in the United States, and it affects at least 16 million people. This noninvasive screening is a great way to detect asthma, bronchitis, and other respiratory conditions. Our screening uses a spirometer to measure airflow and air volume. Treatment for COPD is much easier when the disease is detected early. 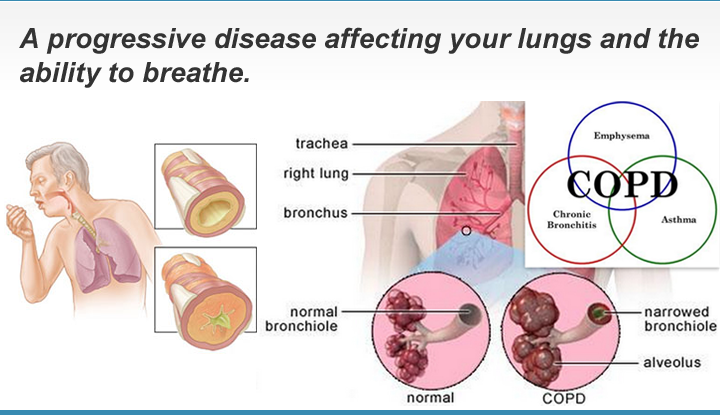 Immediate results that will tell you of your risk for chronic obstructive pulmonary disease. Watch a short video about COPD and how we screen for it.